Aloe vera, coomonly known as Aloe Vera, Medicinal Aloe, Chinese Aloe, Indian Aloe, True Aloe, Barbados Aloe, Burn Aloe or First Aid Plant, has become incredibly popular. Traditionally, it is known for its topical benefits, including wound healing and its use to keep skin moisturized and protected. Aloe vera is used in numerous beauty products as an additive for its vitamin and acemannan content. However, its nutritional properties also make this plant a living superfood. It’s a very easy plant to care for, making it a staple in many homes. These succulent plants are known for their ability to thrive under virtually any conditions, as they grow equally well indoors and outdoors with minimal care. It can’t tolerate winter chill and only grows outdoors year-round in dry USDA hardiness zones 9 and 11. Too much water causes the roots to suffocate and eventually rot and is a primary cause of wilting. Recognizing wilt signs promptly and pinpointing the causes allows you to save a distressed Aloe vera. Insert your finger into the soil and check the soil moisture. If the soil feels wet, overwatering is the likely cause of wilting. Lift Aloe vera from its pot. Brush the soil gently from the roots so you can view as much of the root system as possible. Do not rinse the roots with water. Examine the crown of Aloe vera, where the leaves emerge from the root system. If the crown feel soft and appears rotten, and if there is a foul odor in the region, the plant suffers from extreme rot and may not survive. If the crown still appears healthy, it’s possible to save it. Trim any soft, rotten roots from the root ball with clean shears. Avoid cutting into healthy roots. Fill a clean pot with a potting soil. If reusing the original pot, first rinse it in a solution of one part bleach and nine parts water to kill any pathogens. Repot Aloe vera into the fresh soil at the same depth it was growing at previously. Water the potting soil lightly, but do not use enough water that it drips from the bottom drainage holes in the pot. Resume regular watering once the plant recovers. 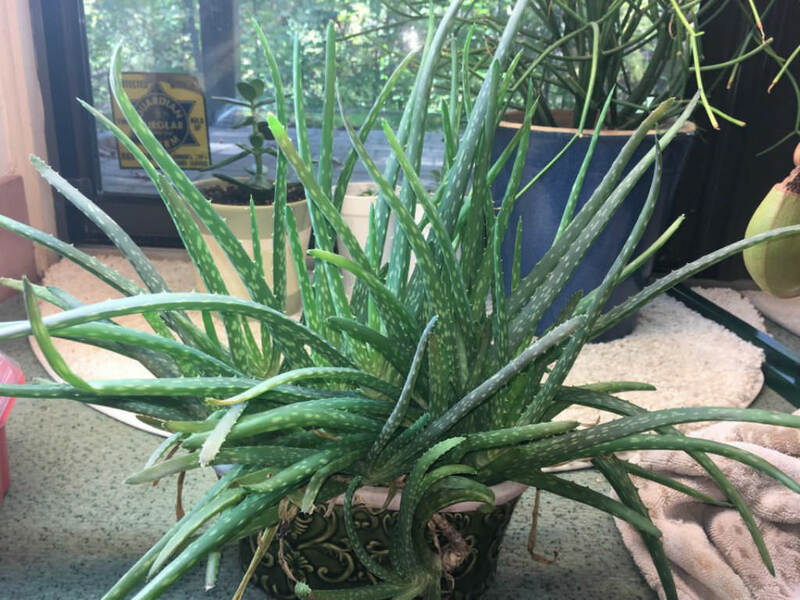 Water healthy Aloe vera plants when the soil dries throughout the depth of the pot and empty any standing water from the drip tray promptly. Temperatures below 50°F (10°C) can also damage Aloe vera and cause wilt. Bring outdoor pots inside before the temperatures drop in autumn and avoid placing indoor plants in cold rooms or near drafty windows. Aloe vera may sometimes wilt because it needs water. If the soil is completely dry and the plant shows no symptoms of rot, water it immediately. The foliage usually perks up in a day or two.